What is Motion Blur (Reduction)? 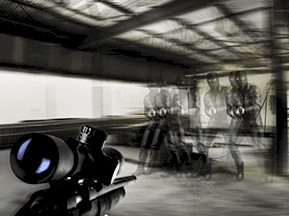 Motion Blur Reduction is a (now common) technology on modern gaming displays. Due to something we call ‘sample-and-hold’, frames are displayed until the image refreshes (see: ‘framerate’) again, which, when displaying fast moving images, can cause the image to blur. Note that we’re not talking about intentional motion blur, which is added to most games and is a simple setting that you can turn off, this type of blur looks a bit more like ghosting. When you’re gaming (for example), your display is actually showing you a whole bunch of stationary ‘pictures’, made up from all of the individual pixels on your screen, at a rate which is equivalent to your monitor’s refresh rate, provided your computer can handle running the game at your monitor’s refresh rate. 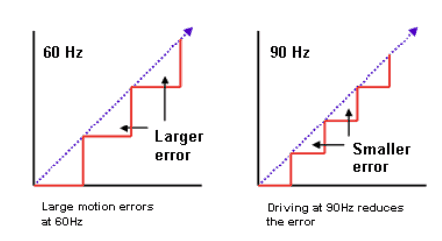 A 60Hz monitor will be displaying 60 frames (‘pictures’) per second, for example, a 120Hz monitor will display 120 frames per second. These images are displayed so rapidly that our minds interprets them as movement. Due to the way modern displays work, though, the individual pixels cannot instantaneously change their brightness and color, with most conventional monitors having a response time of a few milliseconds. Usually this is not a big issue; when you’re just browsing or watching a movie it doesn’t really matter, but when you’re playing a fast paced game this can and will cause the image to blur, potentially leading to frustration or worse performance. A way to solve this is by using a faster refresh rate monitor (as seen in the image from blurbusters.com to the right) but modern gaming displays also feature their own technologies to limit eye tracking motion blur. 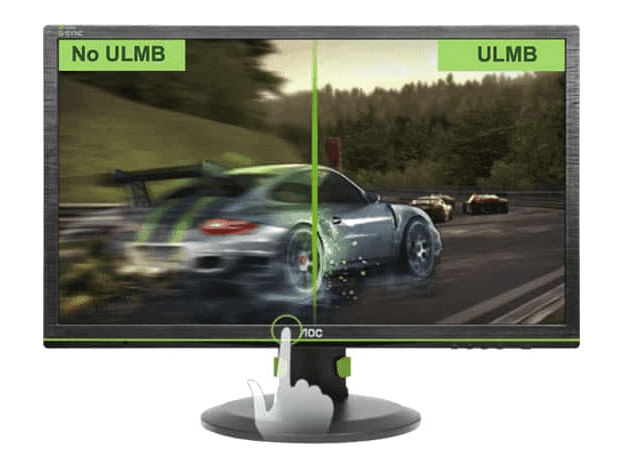 A way to solve this is by using a faster refresh rate monitor (as seen in the image from blurbusters.com) but modern gaming displays also feature their own technologies to limit eye tracking motion blur. 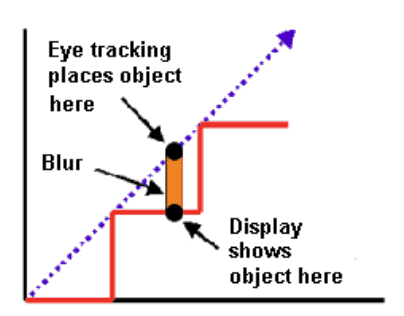 Eye-tracking motion blur can be reduced by limiting the amount of time that a frame is displayed for. As mentioned before, raising the refresh rate of a monitor works for this, as well as introducing a strobing effect, done by turning the backlight off between refreshes, as opposed to leaving it on the entire time. This is how all of those Motion Blur Reduction features work. This effect isn’t visible to the naked eye, but it reduces the amount of time where you’re actually looking at each pixel, reducing the amount of time that a certain frame is displayed even further. This isn’t unlike those old CRT monitors (which some of your old school gamers will fondly remember) which, due to the way their technology worked, had this strobing effect built in, causing the image displayed by them to look and feel much smoother to our human eyes. For a good (moving) example of how black frame insertion (i.e. 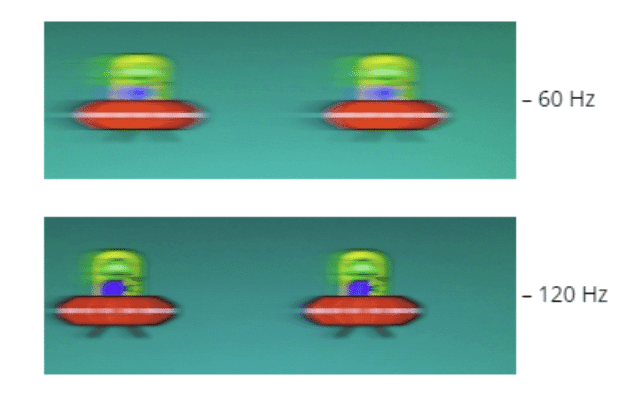 ‘strobing’) can help with smoothing out an image you can go to Blur Buster’s UFO test here. These blur reducing features are almost always optional, as for strobing to work you need a decently powerful GPU (or at least one which can keep a steady amount of high frames). Another downside of these technologies is the fact that screen brightness can be reduced, since the screen backlight is turned off for (very brief) periods of time.